The building is still standing as New Bethel Baptist Church. Building still there, see Google Map for the address listed Currently New Bethel Babtist Church. 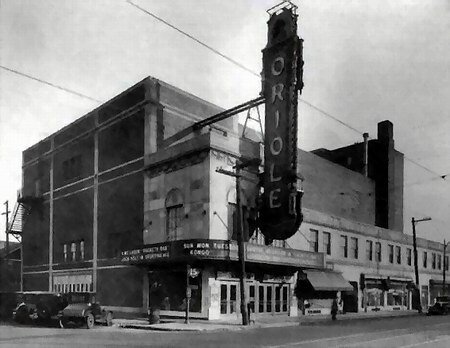 Just a few months after this 2,078-seat theater opened in late 1927 as the Orient, it changed its name to the Oriole, most likely due to the opening downtown of the similarly-named Oriental (which later became the RKO Downtown) around the same time. It was designed by George D. Mason, who also designed the Great Lakes and Gem Theatres elsewhere in Detroit. 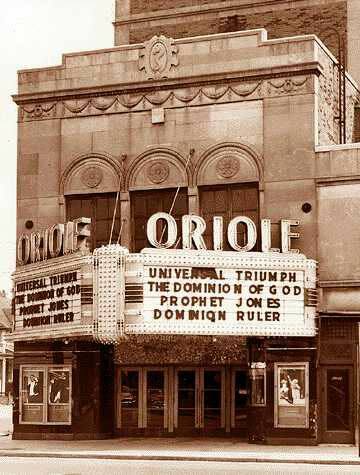 After it closed in 1951, the Oriole sat vacant for over a decade, before being used as a church. It has since been demolished.